Sirus are agents for Tridium in Ireland. 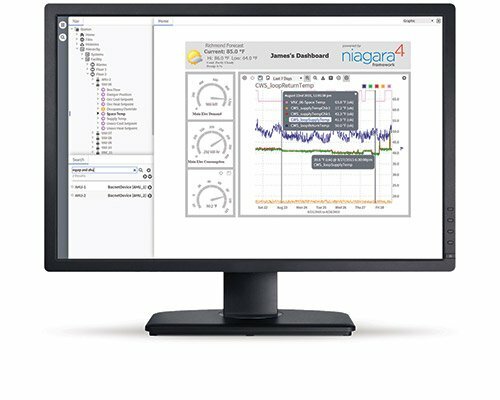 The Tridium Niagara product is a scalable middleware platform used for Monitoring & Controlling Buildings and Infrastructure. The Tridium Niagara system uses the concepts of distributed intelligence and distributed data. Every element of a Niagara solution has the full features of the Niagara Framework® at every location: Controllers, site-based Server, cloud server (if desired). This means that any control decision, any alarm, report, or dashboard/graphic can be local to a plantroom, span across multiple buildings, across multiple sites or countries. A Tridium Niagara system can easily scale from 500 data points in a small controller to 200,000 data points in a single server, with the possibility to create server clusters to achieve greater scale. Niagara Framework® is the open developer API allowing new features or drivers to third party equipment to be developed by a network of independent companies. The Niagara 4 platform utilizes HTML5 to provide an array of rich features. This powerful new framework makes the user experience simpler and more robust, giving users maximum control of their data and decisions through an intuitive interface. Users can easily conduct a systemwide search of the most important elements in their operation. With a simple point and click or drag and drop, users create customized charts, allowing them to instantly find and display critical information. Niagara 4 is secure by default. Authentication requires users to choose strong credentials, and both data in motion and sensitive data at rest are encrypted. 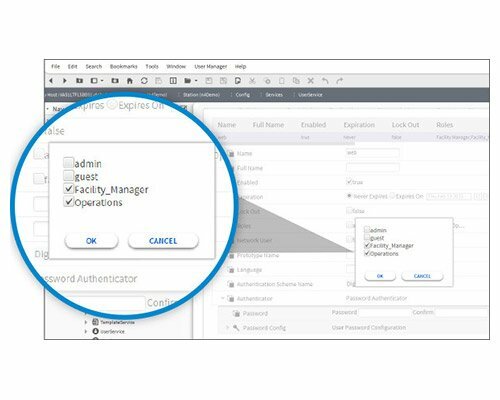 Niagara 4 also uses Role-Based Access Control (RBAC), making user permissions easy to configure.